AIDS has killed millions of people across Uganda. In Kabubbu 73% of adults have had a family member die from AIDS. Only malaria is more deadly. But HIV doesn’t have to be a death sentence. The Quicken Trust is helping mothers with HIV as part of its work to transform the village. Caring for mothers with HIV is another project run by the welfare department which was set up with the help of funding from BA and Unicef. The project itself has also been supported by the Philip Henman Trust. It supported a programme for three years which enabled women to rear poultry – which provided families with an income and source of nutrition. 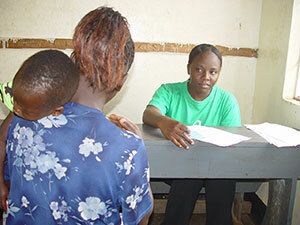 Carers working for the KDP – Quicken’s partner in Kabubbu – are supporting mothers with HIV/AIDS and their children. The women are provided with food, milk, eggs and fruit – a protein-rich diet designed to boost their health. They also receive free medication and counselling to help them try to cope with the illness. Teaching the community about AIDS is slowly removing the stigma attached to the condition. More mothers are now seeking help at the Kabubbu AIDS Centre. Scores have come forward for testing (Health) (Sponsor a Nurse). Mothers’ lives are now being saved and the life chances for their children are being immeasurably improved as a result. A cultural shift means that more men are owning up to having the disease and seeking treatment. In 2000, the Quicken Trust met a woman in her 60s whose family had been devastated by AIDS. She’d had four sons. The eldest had married and had children but had then fallen ill and died. The next son married the widow but also became ill and died. The pattern continued for the younger sons. Eventually the widow died along with most of the children. The widow had been a carrier of HIV. It was as if she’d taken the lives of the husbands and the children and finally her own life. 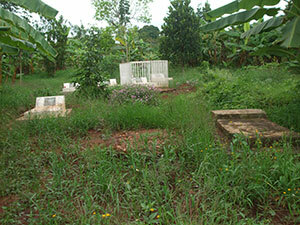 In the garden of the older woman’s house there were five adult slab graves and six smaller children’s ones.